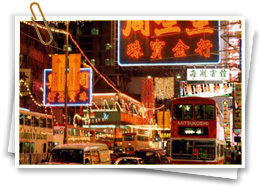 Although Hong Kong is largely thought of in terms of its development from the colonial era onwards, the area has been settled by humans since the late Stone Age. It came under the influence of China around 200 BC, with serious settlement by Han Chinese beginning in the 12th century AD. It is thought that they displaced the original inhabitants, descendants of whom are now known as Tanka and traditionally live on boats. Regular contact between China and Europe began with the arrival of the Portuguese, who established a trading settlement in nearby Macau in 1557. Their influence had declined, however, by the time that the British started trading in the south of the Chinese mainland around 1750. The problem for these newcomers was that although they wanted goods such as tea and porcelain, the Chinese were not interested in buying anything from them. The British solution was to import opium grown in India, and when the Chinese authorities – alarmed at both the cost and the growing addiction among their people – tried to block it, the British sent in gunboats. 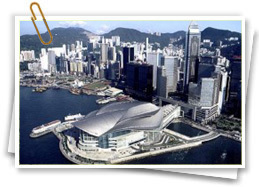 They seized Hong Kong in 1841 in what is known as the First Opium War, and a year later the Treaty of Nanking gave the British control of Hong Kong, plus the right to trade in five Chinese ports. This wasn’t enough, however, and a few years later the British took the Kowloon peninsula as a result of the Second Opium War. 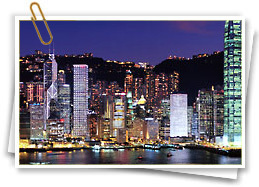 Then, in 1898, the New Territories were leased from China for 99 years. 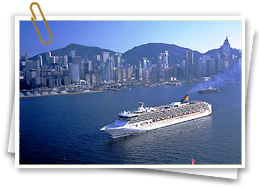 The British rule of Hong Kong was interrupted only by a four-year period during World War II, when the territory was occupied by the Japanese. In the years after the war, free market policies and an abundance of cheap labour (with little regulation or protection for workers) helped Hong Kong’s economy to grow on the back of a mixture of financial services and the manufacture of textiles and garments. It was in December 1984 that an agreement was signed for the terms of the reversion to China, with guarantees that the territory would enjoy a high degree of autonomy, especially in the economic field where its existing system would be largely left intact. The slogan 'one country, two systems' was coined by the Chinese to describe the future regime and its relationship with mainland China. Only in the fields of foreign affairs and defence would the new Special Administrative Region of Hong Kong be subject to the diktat of Beijing. The main point of contention in the period leading up to handover was political representation. Under the colonial regime, democratic representation had been kept to a minimum and executive powers were firmly retained by the Governor. The same system has survived, largely intact, since the departure of the British in July 1997. Beijing selected the shipping tycoon Tung Chee Hwa to be the first to fill the new post of Chief Executive, which is not directly elected by the people and has powers comparable to those of the former Governor. China has largely stuck to the ‘one country, two systems’ concept. Although it is often argued that the mainland has covert influence over Hong Kong politics, on the surface little has changed and the SAR still enjoys a degree of autonomy. This is not to say that there have not been bumps along the way: the Asian financial crisis came soon after the handover, and in 2003 the severity of the outbreak of Severe Acute Respiratory Syndrome (SARS) was blamed on the government for failing to contain it. A further controversy surrounded an anti-subversion law known as Article 23, seen by many as a way of eroding the freedoms of Hong Kong citizens. Tung Chee Hwa eventually resigned after criticism from Beijing and was replaced by Donald Tsang – a popular choice who even allowed a pro-democracy candidate to run against him in 2007 (although there was little doubt about the eventual outcome). Today, despite global financial uncertainty – and despite the lack of true democracy – Hong Kong seems to have grown again in confidence and is becoming more comfortable with its unusual political position. Buddhist, Confucian and Taoist, with Christian and Muslim minorities; but there are also places of worship for most other religious groups. Handshaking is the most common form of greeting. In Hong Kong, the family name comes first; so Wong Man Ying would be addressed as Mr. Wong. Most entertaining takes place in restaurants rather than in private homes; during a meal, a toast is often made saying "yam seng" (meaning "drink to success") at each course. There may be up to 12 courses served in a meal, and although it is not considered an insult to eat sparingly, a good appetite is always appreciated and it is considered cordial to taste every dish. It is customary to invite the host to a return dinner. Informal wear is generally acceptable, although some restaurants and social functions often warrant formal attire. Smoking is widely acceptable, but is now prohibited in most public places. 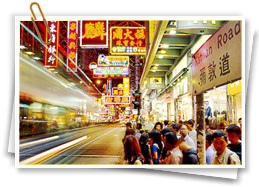 Cantonese and English are the official languages, with Cantonese the most widely spoken. Mandarin is growing quickly as a second language. English is widely spoken, especially in business circles.